The Votes are in! Saint Andrew’s School Named Best Private School of Palm Beach County! Palm Beach County is home to nearly 1.5 million people making it one of the largest counties in Florida. Many residents marvel at its tremendous growth and future possibilities. 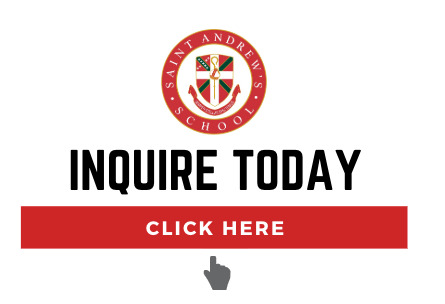 Saint Andrew’s School is positioned as a key leader in booming Palm Beach County. It’s no wonder that readers of The Palm Beach Post have voted SAS as the Best Private School as part of Palm Beach Post’s “Best of Palm Beach County 2019” awards contest. The award was formally announced at an Oscars-type red carpet ceremony held on Tuesday, February 19 at the Palm Beach County Convention Center in West Palm Beach. Once nominations were in, the campaign continued as readers of The Palm Beach Post voted on a select group of top 5 businesses in each category. Categories included education, business, service, dining, and more. The competition was stiff in the final voting stage which took place between December 21, 2018, and January 4, 2019. Over 117,000 votes were cast during this period. In mid-February, all votes were tallied and winners were determined. Saint Andrew’s School joins other distinguished winners in this “Best Of” contest such as Flagler Museum, Peggy Adams Animal Rescue League, and The Breakers Palm Beach. Florida State Rep. Mike Russo (District 89) sent a congratulatory letter after hearing news of SA being named Best Private School of Palm Beach County. “It is with a great deal of pleasure that I take this opportunity to congratulate you on this remarkable honor,” he wrote. In proud acknowledgment of this great honor as the 2019 Best Private School of Palm Beach County, Saint Andrew’s School remains steadfast in its commitment to its mission to build a community of learners, provide excellence in education, and nurture each student in mind, body, and spirit. Go Scots!